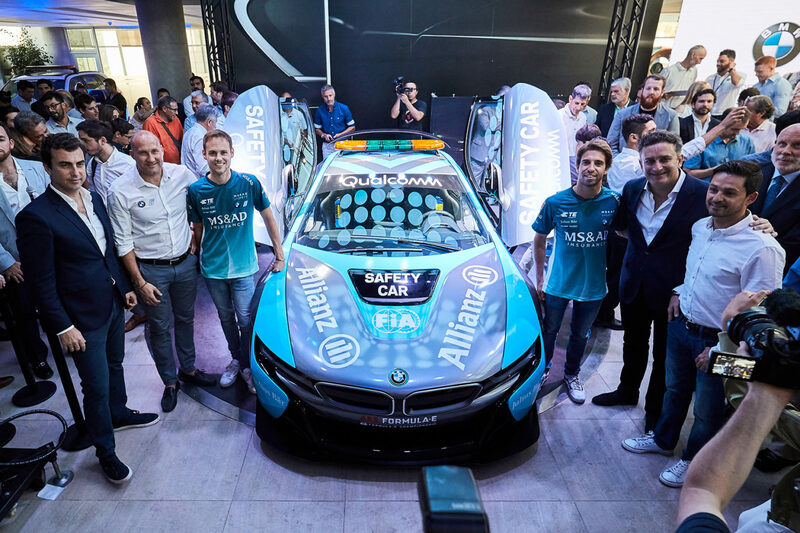 The new flagship of the BMW i car fleet for the ABB FIA Formula E Championship makes use of the “Qualcomm Halo Prototype Technology” inductive charging system. 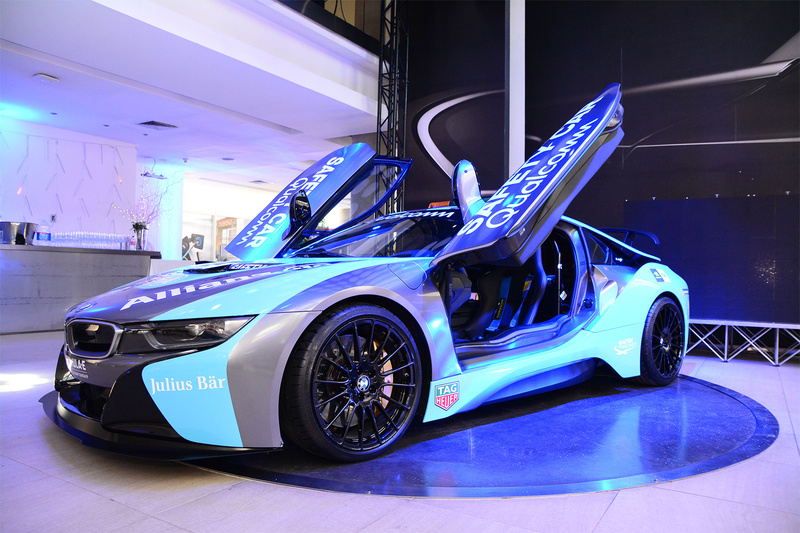 The system uses no cable connections and charges this special BMW i8 Coupé up to 80 per cent in just one hour, with a performance of 7.2 kilowatts. To do this, the Safety Car drives over a special bottom plate, which immediately initialises the wireless charging procedure. This saves time and effort, which can be vitally important during races on a Formula E weekend. 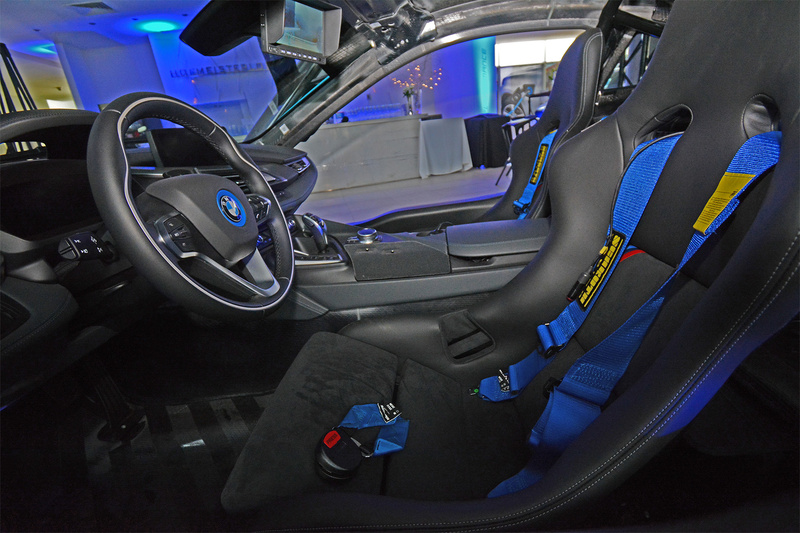 It is not just the inductive charging system that makes the Qualcomm Safety Car BMW i8 Coupé different to the production car. Other areas include a roll bar, rear wing and rear hatch made of carbon fibre, a front splitter, sports seats from the BMW M4 GTS, 4-point belt, a roof-mounted signal light system, BMW M carbon ceramic brakes and a sports chassis. Alongside the BMW i8 Coupé, is the new BMW i3s Medical Car and Race Director Car, and the BMW X5 xDrive40e Rescue Car which are part of the BMW i fleet in the ABB FIA Formula E Championship. The next race in the series takes place in Mexico City on March 3rd.